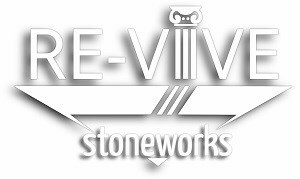 Re-Vive Stoneworks - Stonemason based in Bishops Stortford , Hertfordshire. Re-Vive Stoneworks is a family business, established since 2005 with over 14 years’ experience. We are experienced in internal and external, monument cleaning and repairs, flooring, worktops, table tops, vanities, stairs, fireplaces, walling and stone replacement, stain removal, stone tile replacement. Grinding, shaping, levelling, honing, polishing, retexturing, masonry repairs, lime repairs, historic and modern, external building cleaning, protection and sealing. We are also able to provide services in; refinishing, renovation. Undertaking supply, fixing repairs and renovation of all natural and manmade stone, including, Marble, Limestone, Granite, Terrazzo, Travertine, Slate, Sandstone. I am a proud member of the Stone Federation of Great Britain awarding membership and training. Works include, Cambridge University, Hockerill Anglo European College, University of Essex, Marriot Hotel Mayfair, Chelmsford Cathedral and Cambridge Uni Press. With many estate, commercial and private clients. Cambridge, Cambridgeshire, Essex, Hertfordshire, Kent, Suffolk, London, Surrey.